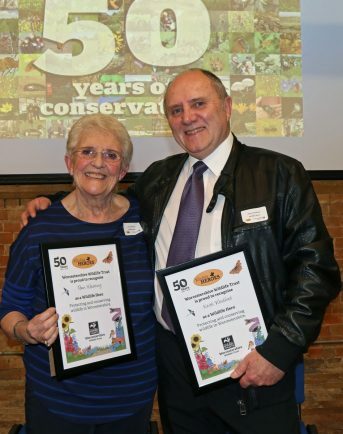 TWO Bromsgrove residents were honoured by the Worcestershire Wildlife Trust (WWT) for the work they have done to help nature in their local communities, writes Louise Newton. Pam Wearing created a habitat for deer, badgers and foxes in her garden and Keith Woolford leads the team which look after the privately owned ancient woodland High Hills Country Park. There were 37 people in total from across the county who were handed WWT Wildlife Heroes awards. The recipients were either involved individually, as a business, as a community group or as a school. 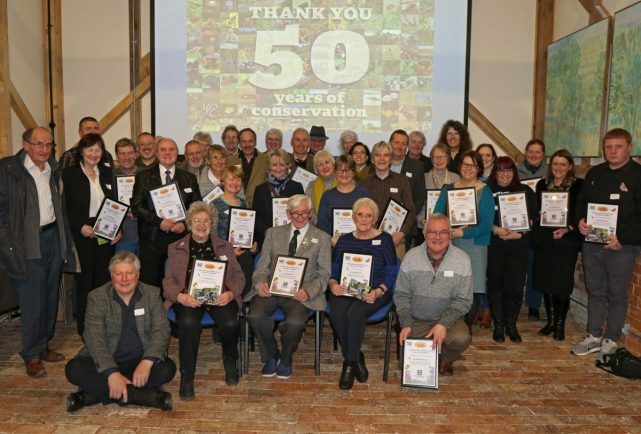 Sadie Carr Simons, from the trust, said: “This is the second awards ceremony that we’ve held and it’s been fantastic to meet so many people who are helping the wildlife where they live. The awards are still open for entry and people wanting to apply should visit worcswildlifetrust.co.uk/wildlife-heroes or call Sadie on 01905 754919.